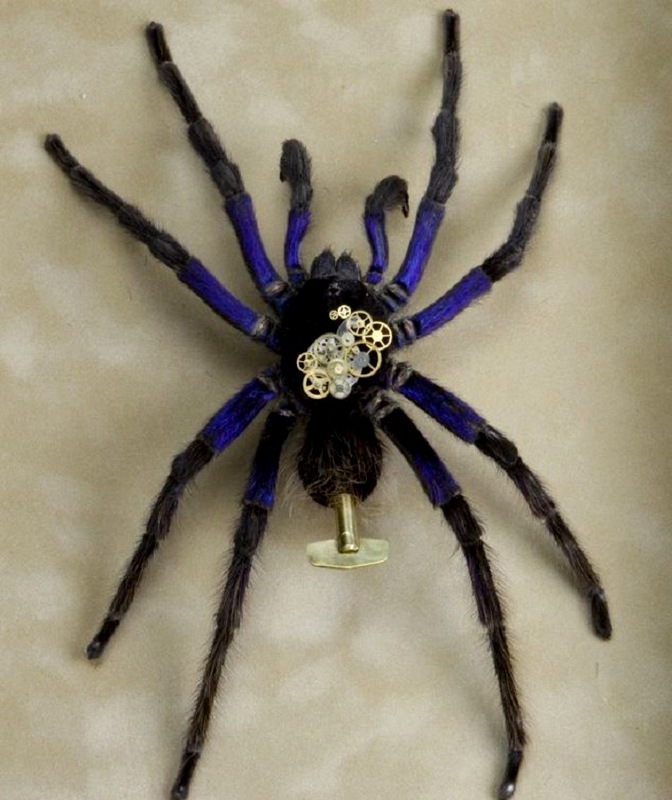 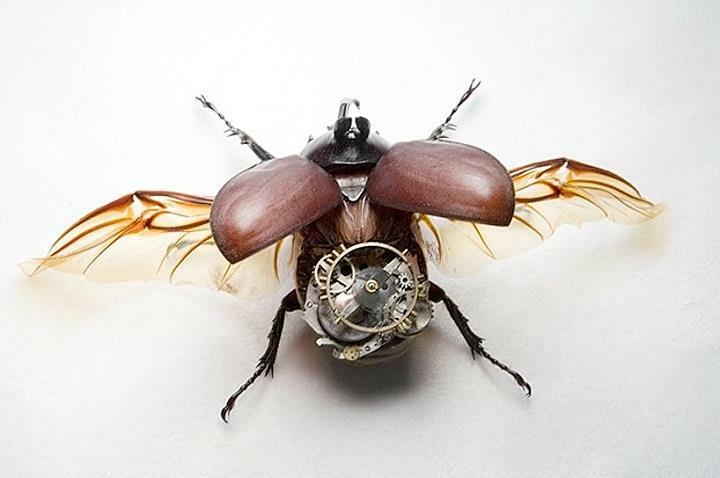 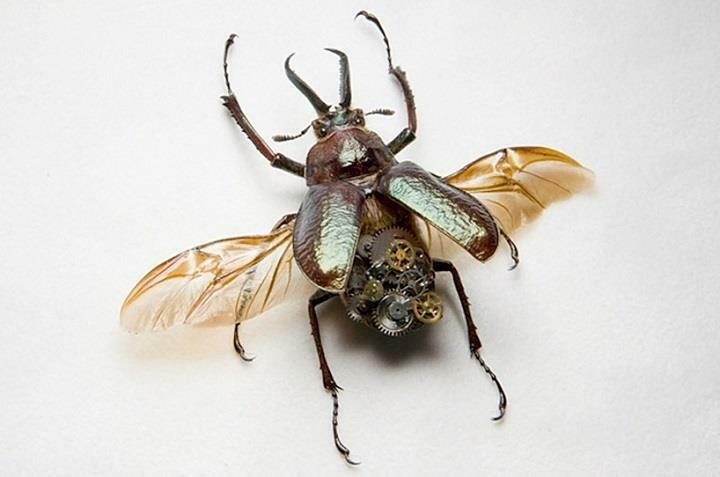 Lindsey Bessanson creates incredibly beautiful clockwork insects. 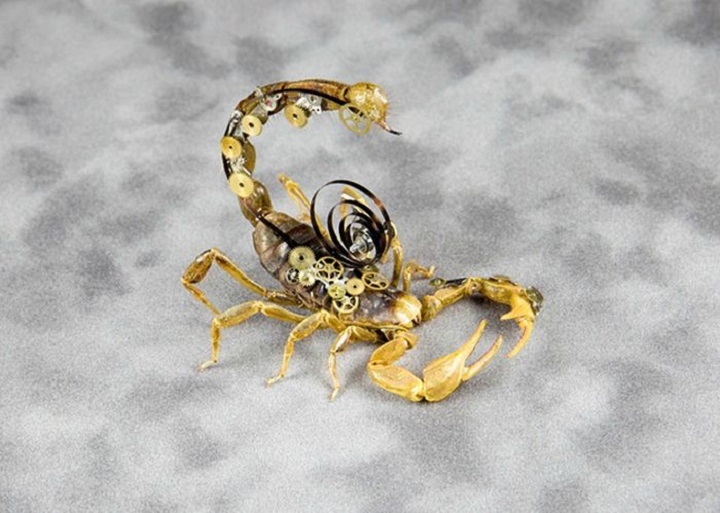 She began her creative career as a jeweller in Arizona, USA. 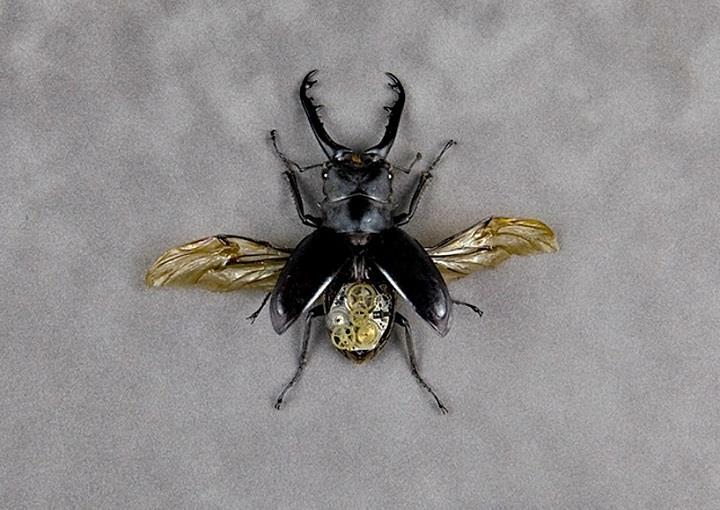 Lindsey was casting insects in gold and silver. 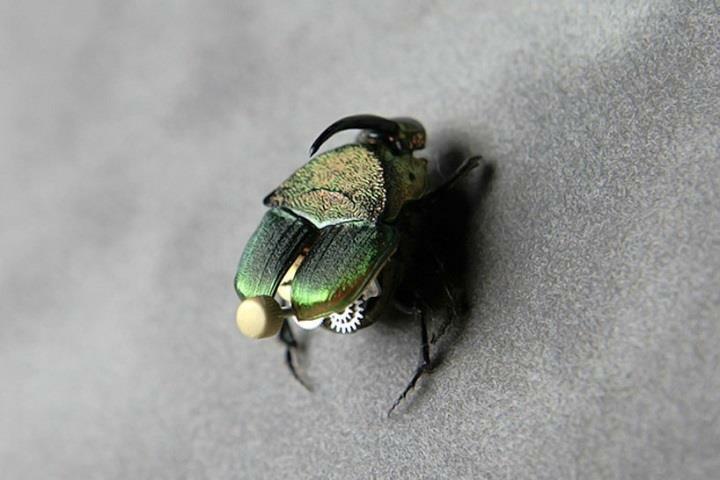 Soon her work changed into one more sculptural in nature as she hoped to preserve the coloring of each bug by adding metallic parts to them. 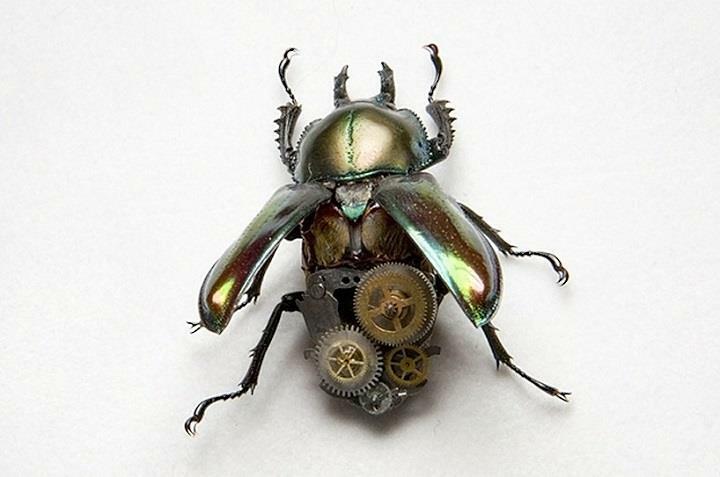 All of her pieces are made with real insects. 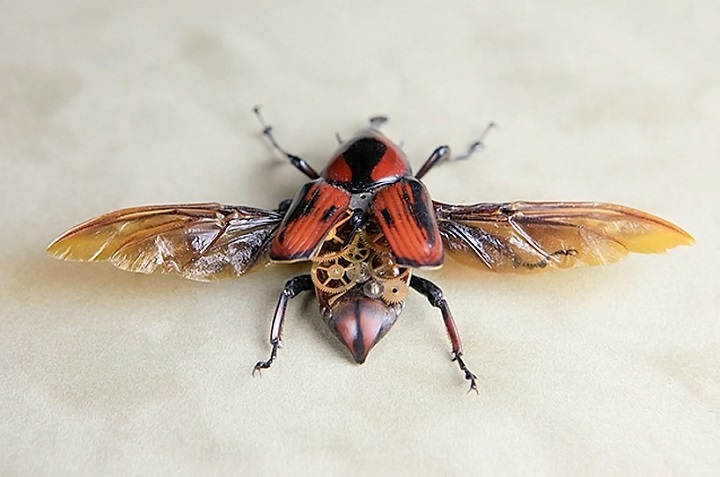 She finds all insects dead or acquires them dried and dead from suppliers, special collectors or entomologist websites. 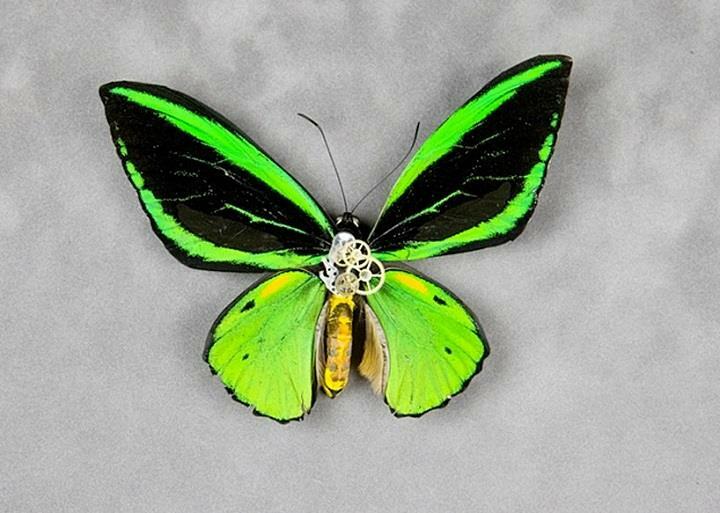 First of all, Lindsey re-humidifies the specimens in order to shape them properly. 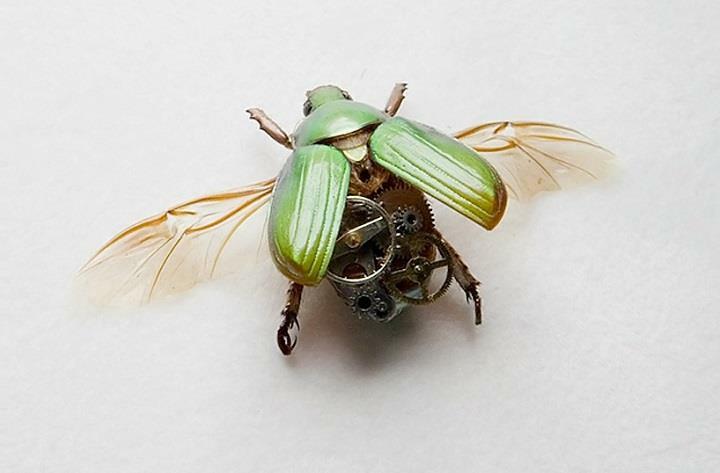 Then she repositions legs, wings and adds the gears, levers, cogs, and steel mechanisms to the insect. 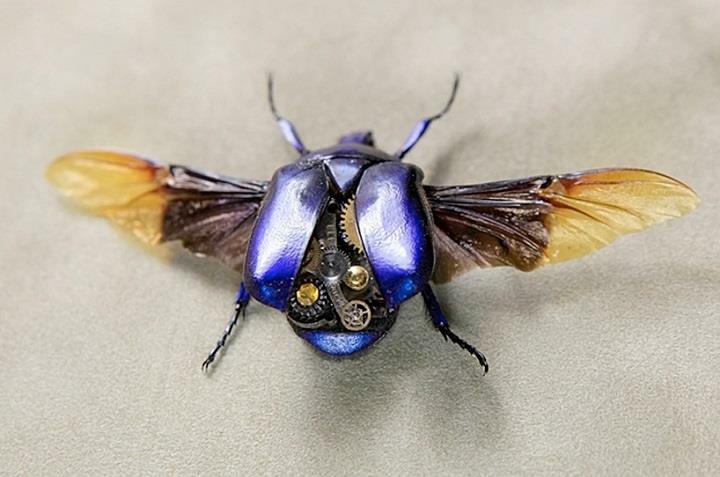 So she preserves the beautiful natural colors changing them into robotic steampunk creatures.